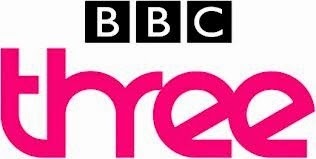 The launch of a four week consultation on the future of BBC Three by the BBC Trust was coupled with substantial amounts of information on the future of not only BBC Three, but also BBC One+1 and the iPlayer. BBC Three digital controller Damian Kavanagh went on record today with that statement following reports that two independent production companies wanted to buy BBC Three. Damian Kavanagh also reiterated in a blog post timed to coincide with the Trust's consultation exercise that BBC Three is not closing, but moving online. The BBC does say in its proposals that it did look at making BBC One+1 a peak-time only service, but this was considered a "second best" option. - It's less likely that BBC Four HD can move over from a commercial multiplex to the BBC's own capacity increasing Freeview HD coverage from around 70% to 98.5% of households, as the capacity will be needed for BBC One+1... unless HD channels are compressed further. - Additional bandwidth is required on satellite. Instead of CBBC/BBC Three sharing a slot, CBBC needs a slot and BBC One+1 also now needs a slot. There'll be no savings on EPG listings as a result. The extra cost of distributing BBC One+1 has been redacted from the documents released today. 3. CBBC will broadcast from 7am to 9pm. The BBC says that the peak viewing time for CBBC's target audience (up to 12 year olds) is after 7pm when CBBC has already closed. Apparently 10 and 11 year olds like their daily dose of soaps. So CBBC gets 2 extra hours every night. To fill the extra hours, there will be some extra repeats, and some of the programmes in this slot might be premiered on the iPlayer first. The odd scenario of a service targeting audiences that don't know life without smartphones, tablets and computers creating extra hours of content on old fashioned TV. Trade publication Broadcast has been digging through the BBC Executive's proposals and report that "Communications Chambers, which analysed the findings of GfK’s study, said that the BBC3 plans were the “least popular” of the four proposals. Just 14% of those questioned said moving the channel online was a favourable option. Furthermore, only 29% of respondents thought they would use the digital-only service at least once a month. This compares to BBC3’s current monthly reach of 64%." But the document goes on to lump the BBC Three proposals with the changes to CBBC, BBC One+1 (which is very popular) and the iPlayer so that the BBC can say "the majority of respondents were in favour of them from a personal perspective". Because BBC One+1 is not taking BBC Three's bandwidth, there's no technical reason why both can't be on-air at the same time. 5. The BBC will potentially do deals with Google (who own YouTube), Facebook etc for BBC Three content. The proposals say: "Subject to agreeing appropriate commercial terms with YouTube, BBC Three may use YouTube to promote its single editorial pillar such as short form comedy made for YouTube. Additionally platforms like YouTube could be an important source of new talent for the BBC." And... "Facebook may be used (subject to agreement of appropriate commercial terms) .... for engaging with audiences and for giving them a voice around our content." And so on for Buzzfeed, Instagram, Snapchat, Twitter and Tumblr. Certain parts relating to commercial terms are redacted from the public documents, but it appears these social media networks may benefit from BBC money. Press red to watch BBC Three content. As with all internet TV services, the cost of distribution is diminished, but viewers have to pay for a broadband service that can cater for unlimited streaming. The BBC Executive says: "Online availability as standard for up to 24 x 30 days over a period of 5 years,which we would use flexibly to allow us to maximise the reach and viewing of BBC Three programmes. Programmes commissioned by BBC Three would be shown on BBC One or BBC Two (at minimum of one transmission) at least in the early years of the life of the service." The BBC wants to be able to premiere more shows on the iPlayer before they are shown on the remaining BBC TV channels. So a 10:35pm show on BBC One could be premiered at 9pm on the iPlayer. Media Guardian's John Plunkett tweets: "BBC3 now - costs 6.9p per user per hour. BBC3 online/no TV channel - will cost 23p per user per hour, >3x as much"
Although these shows are not named directly, Damian Kavanagh, digital controller of BBC Three says in his blog: "key popular existing programmes which are currently shown on BBC Three but not on BBC iPlayer will remain on other BBC television channels for the time being." Emphasis on "for the time being" and also to note that Damian Kavanagh also promises that BBC Three "long-form programming" (read: "regular length programmes") will be broadcast on BBC One and BBC Two. But the proposals actually only promise that for the initial period after the changes. Such content is earmarked to fill the post 10:35pm slot on BBC One (which may become post 10:45pm if the current late evening regional news extension was to be made permanent) or after Newsnight on BBC Two. The changes will result in up to ten hours of expensive bandwidth remaining dormant. At the moment, CBBC and BBC Three share capacity. At 6:57pm CBBC closes, a minute later the stream switches to BBC Three and it starts up for the evening. At around 5:30am (a while after BBC Three actually finishes for the night), the stream switches back to CBBC, but CBBC doesn't start until 7am. Because the BBC wants BBC One+1 to be 24 hours, it can't share with CBBC after BBC Three closes. CBBC will be extended to 9pm under the proposals. There's no other BBC service using the stream until at least 5:30am, and if you strip the loop that runs before CBBC starts, no actual programming until 7:00am - 10 hours of unused capacity. The BBC says (proposals paragraph 8.2). 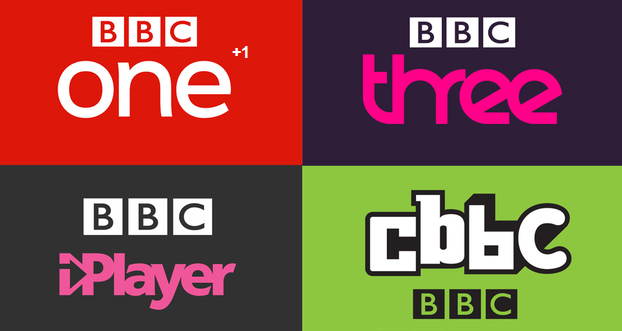 : "BBC Management is considering a range of options around any unutilised capacity following the closure of BBC Three and a potential extension of CBBC hours– these include thinking about potential future channel portfolio strategies (e.g. launching a new service such as another BBC time shift channel) and potentially commercialising any spare unused capacity." On that last point - "commercialising any spare unused capacity" - the next paragraph says: "Selling the capacity used for BBC Three was also discounted on the grounds that the commercial returns from selling were considered to be quite low given the current market price of DTT capacity." It should be noted that any unused capacity on the BBC's main Freeview multiplex (aka PSB1) can't just be 'commercialised', as it is capacity given through the Royal Charter. However, unused capacity on its HD multiplex can. But who would want to buy overnight capacity? The BBC Trust already told local TV multiplex operator Comux (which receives some licence fee money to set up the local TV transmission network) it can't sell capacity to adult services, so it's doubtful that will be an option. And which time-shifted services would want to start at 9pm? BBC Four+1 anyone? It should be said that the 9pm - 7am vacant capacity could be put to good use during the 2016 Rio Olympics as it would allow an extra red button stream for 'prime-time' sports events, thanks to the time difference. Within hours of the consultation going live, users complained that the "very unlikely" option was missing from a question relating to the BBC Three online proposals and whether users would use the proposed service. Prior to this amendment, there were three "likely" options (ranging from quite likely to very likely), but only two "unlikely" options. Oh great, BBC3 online costs a lot more for the BBC to run and we get a lesser service. In what way does that remotely make any sense? Given I don't have the broadband speed to stream TV, I won't be able to watch BBC3 at all after these changes.